Dennis Ithumbi, the director of Digital Communication in the office of the president and NTV’s gifted news anchor who doubles up as the Trend TV host Larry Madowo recently had a bitter exchange of words over Ann Waiguru, the Devolution Cabinet Secretary. #IStandWithWaiguru was a hash tag started with Dennis Ithumbi to support Ann Waiguru and he gave reasons why he was supporting her even after the Devolution CS has been associated with many scandals, especially the NYS saga. Dennis Itumbi: Yes I stand with Waiguru. I knew her long before she became CS and I know for a fact she is a great mother, sister and friend. 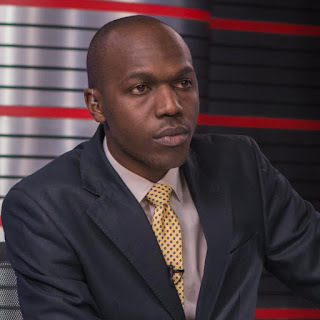 Larry Madowo: To recap, you stand with her in a corruption case because she's a great mother, sister and friend? Dennis Itumbi: I did not know Anne Waiguru has a corruption case. She does? Journalism is about facts, which case? Dennis Itumbi: Court case number for AnneWaiguru case? You stated it confidently, backing it up should be easy.